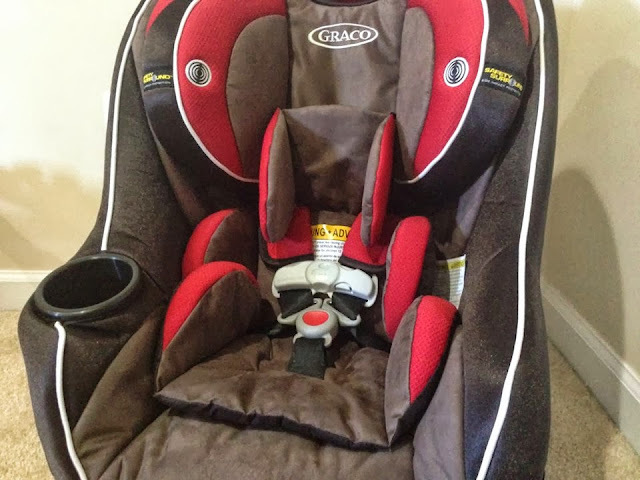 Disclosure: I was provided a Head Wise 70 Car Seat compliments of Graco. As a father of five, I know that is so important to have each and every one of my little ones in the right seat and to have that seat installed the right way. Thankfully my wife is a CPST so our seats are always checked, checked and double checked to ensure all the kids are safe. The Graco Head Wise 70 is a convertible car seat that can be used for quite a long time and could very well be the only seat you ever need. 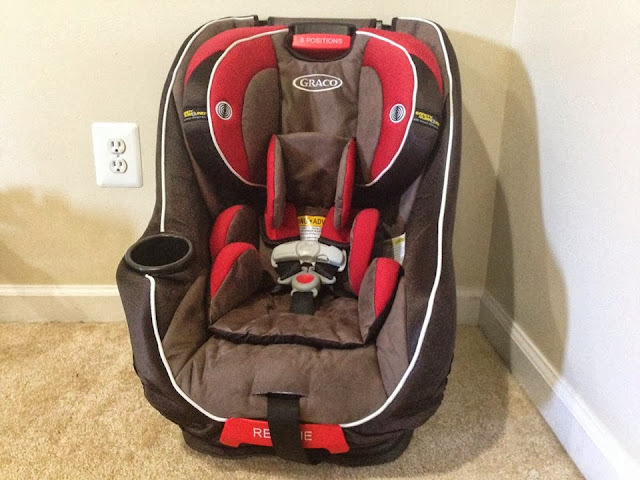 The seat can rear face from 4-40lbs, which means it could be used to bring home a new born baby. Then once your little one out grows rear facing, they can forward face from up to 70lbs. 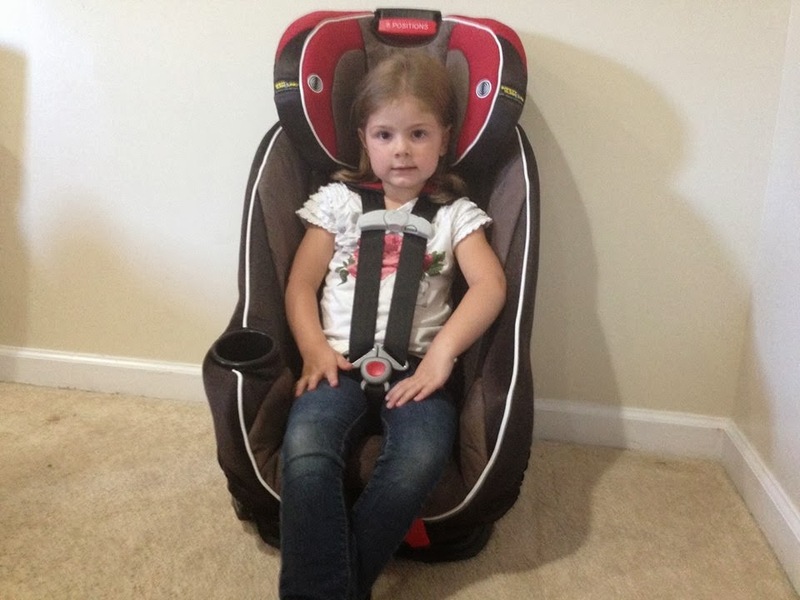 The seat features a Simply Safe Adjust harness system, which is normally only found on higher priced car seats. Basically it allows you to automatically adjusts both your harness and head rest height with no need to re-threading! It also offers InRight LATCH system for one-second LATCH attachment. I really love that two LATCH straps are included. One to be used for rear facing and one for forward. Plus they are color coded which makes it easy for even me to install. 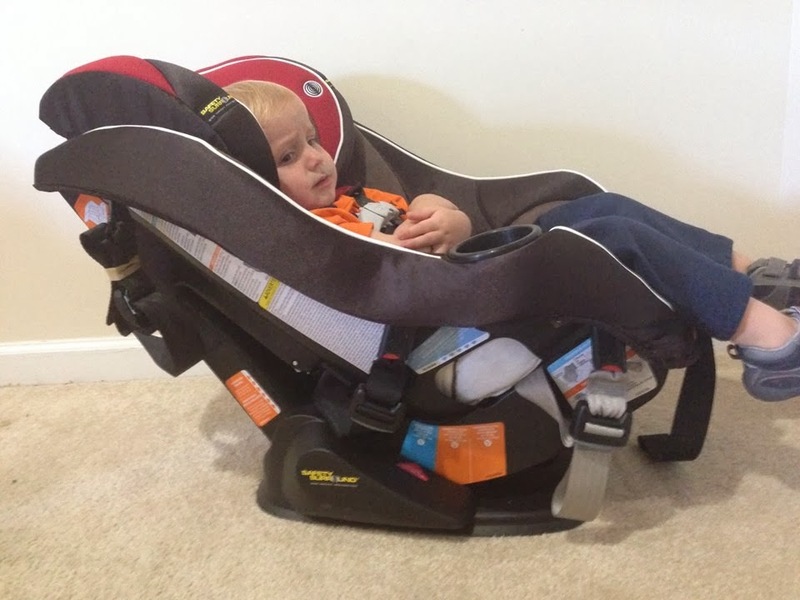 Other features like EPS foam, a removable head/body support, three recline and two buckle positions to keep your child snug and secure and a removable, washable seat cushion make this seat a bit easier to use. My kids favorite feature is of course the cup holder, which can easily fit almost any sippy cup. Carlee is four and a half and about 33 pounds. She is just a smidge to tall to rear face in this seat, her head must be one inch below the lever, with the straps in the proper position. This seat could easily rear face your toddler till four. Emmitt is two and a half and can rear face in this seat easily. 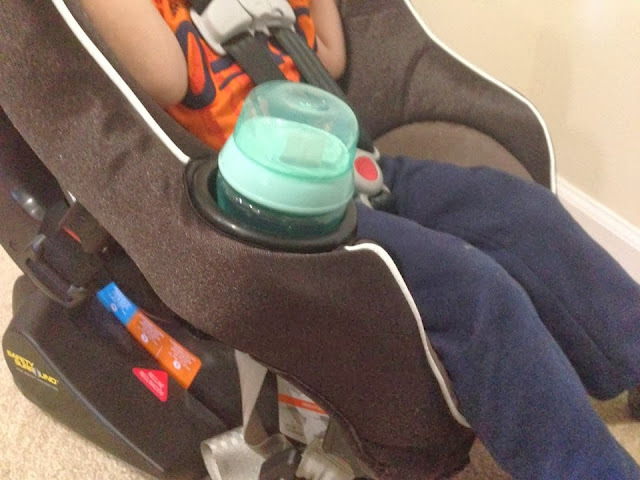 It reclines very well so when he falls asleep his head doesn't tilt over, which makes me feel more comfortable on long car rides. 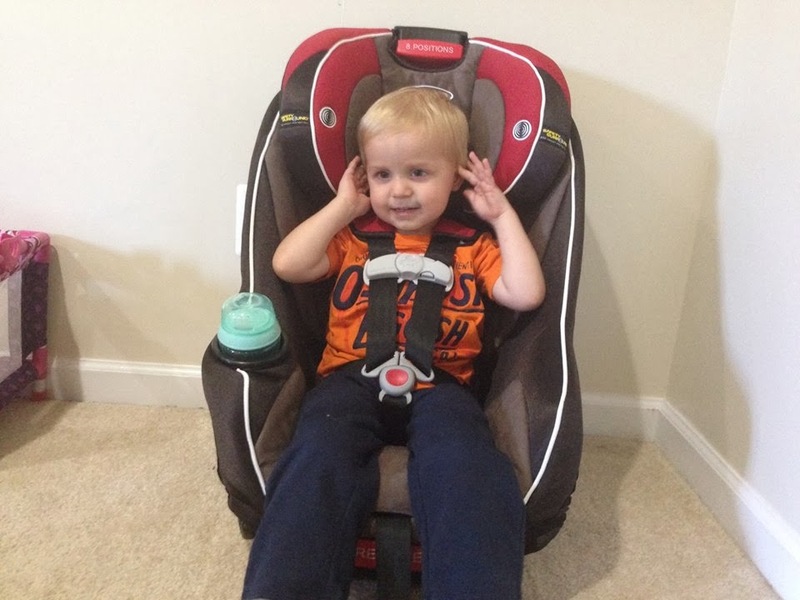 Buy It: You can purchase the Graco Head Wise 70 car seat for 199.99!